Today's topic is misting! And, while I'm featuring Mister Huey's Mists by Studio Calico, the technique is pretty much the same whatever the brand. You can even make your own mists, but if you're an instant gratification girl like m'self, sometimes it's fun to just collect a whole bunch of pretty colors and get right to it! Mister Huey's comes in a fun and hip range of colors, including metallics, and an opaque white that looks AWESOME on dark card stock colors! One thing I would advise, no matter what brand you're working with, is to shake the bottles from side to side and avoid shaking them up and down; if you're working with a mist that has any pearlescent or shimmer added to it, it can clog the nozzle. I almost always have a box laying around from a recent shipment, so I keep one for misting--I like the ones with fairly deep sides, because then I can plop it right on my work desk and not worry about any over-spray getting onto my work surface. One thing I wanted to mention is that you can use stencils to create patterns onto your project with the mists, and you can also use masks, and even stickers or the negative part of stickers, punches and die cuts to create masks and stencils! It dawned on me that the negative portion from this sheet of stickers would make an AWESOME large scale honeycomb/hexagon pattern, so I peeled it away carefully and tapped the palm of my hand against the sticky side so the oil from my hands would reduce the tackiness; I wanted just enough for it to hold on the paper, but still be removable. Into the box it went. Initially, I gave it a light dusting, keeping a little further distance--roughly 16-18", and then I came closer, to get more intense; I don't mind having a few blobs, as I've mentioned. I'm kind of impatient, so I took a clean paper towel and blotted away the mist that was still wet on the sticker sheet so I wouldn't make a mess when I removed it from the paper. After removing it, I stored the sticker on a recycled piece of acetate from some packaging; this "mask" won't last forever, but I'll probably be able to use it a few more times, at least. Cool! It made a great patterned paper for this "Bee happy" design! YAY! I also played around with some red mist--Overdue on kraft card stock. I concentrated the color towards the upper left corner--SO FUN!!! I was also able to stamp the little jet airplane over the top with Archival black ink--it's possible if I used a non-permanent ink that the misted areas would "resist" stamp ink, so it would probably be a good idea to test that before trying it on an actual project. Thanks for stopping by! I hope this encourages you to play with mists--they are TONS OF FUN!!! Time to continue with our Various Ink Refills Series here on The CLASSroom! Today we are going to add a little twist using the Copic Colorless Blender Solution. If you missed the first tutorial, please click here to read a more in depth explanation of the basic Polished Stone Technique. The three Various Refill colors I used are RV34, BV00 and V12. Allow the colored ink to dry before starting the next step. You can create a fabulous "water mark" effect on your alcohol inked projects with your Various Colorless Blender Refill. Simply shake blender over the the surface and watch the ink move and change. My favorite ink to stamp over any alcohol ink is Archival in Jet Black, Coffee or Sepia by Ranger. This lovely Memory Box image called Poppy Collage was stamped with Coffee Archival. I layered it simply with Wisteria paper (Memory Box) and then mounted it onto a Vanilla Bean Note Card with matching envelope. Have a lovely, inky week friends! You are bound to see a variety of jewelry or soldering related posts this week and it is my desire to bring you many ways to alter the metal pieces that make up those projects. I have numbered the finished pieces in photo #2 to help you keep the supplies and techniques sorted out. Hope you enjoy! Here is a smattering of the pieces I had to work with. They are all carried in the store including Vintaj, Ideology and Vintage Groove. This board represents the many ways you can use your metal pieces to their full advantage. Piece #3 - Metal Inclusions in Ice Resin - this is an entire post for another day! Ellen is planning to do a tutorial and share some fabulous projects she made with Ice Resin soon. I hope you have been inspired to alter your metal this week! I am really excited about today's technique tag!! There are a few things going on in this one that are easy, so fun to try and create really exciting textural finishes, and they are out of this world with how beautiful they are! We will start by printing on a piece of "Real Wood,Thin Birch", for the tutorial on how to do that, refer to this post. Because I had run a really nice sized piece of wood through for my last project, I had plenty to use for this one. For the tag base you will need a #8 Manila tag, "Silver" Adirondack Paint Dauber and the Heat It tool. Start by painting around the edges of the tag. If it looks thin give it another layer or two, nice coverage makes for a really exciting result. Get out your Heat It and patiently heat each area until it gets a good bubbly texture going. Here is a close-up of what it might look like when you are done. Keep that Heat It out, we are going to be giving it a good work out today! Trim a piece of the wood you printed on to 2 1/2" wide by 5 1/4" tall. You will need a small piece of Cut N' Dry foam and "Tea Dye" Distress Ink, gently work a light layer of ink onto the surface of the wood. This is like a wood stain treatment that will bring variation and color in the grain and print on the surface of the wood. When you have the entire surface covered with a nice layer of the embossing ink, sprinkle a layer of UTEE onto and then tap off the excess. Then very patiently use the Heat It tool to melt it. It gets very hot and is difficult to handle so find a place to do this that won't be damaged. I always use my Non-Stick Craft Sheet for these projects because of its bullet proof surface. But make sure that whatever is underneath is also a pretty heat resistant surface. The surface of the wood after this first layer of UTEE will be very uneven. If you aren't familliar with UTEE, it is an acronym for Ultra Thick Embossing Enamel and is amazing stuff! Very versatile and comes in many colors! We will be playing with it again for sure! After you have a nice even application of the ink, sprinkle the UTEE on again and then gently tap off any excess. Of course you will melt it with the Heat It again, you will need to be even more patient and careful. It is hot and you don't want to touch any part of it until it has cooled completely. Now that you have both techniques finished, it is time to start putting it all together. Adhere the wood to the tag using a heavy duty adhesive. I used my Scotch ATG 714 for this and was very generous in the application. The wood wanted to bend up a little and by applying a little extra adhesive it kept it in place really nicely. Here is another view of how textured and beautiful this project is. I gathered some pieces that would finish up the idea I had in mind, with black as a unifying color. The Maya Road Bird was painted with "Faded Jeans" and "Shabby Shutters" Distress Crackle Paint. There is a clock face and hands from Maya Road, a Glass Glintz in 8mm "Black" piece, and the "Jet" Double Flourish from Zva Creative. Adhere the clock face with "Glossy Accents" and set aside to dry. Adhere hands and Glass Glintz piece with the Glossy Accents as well and set aside to dry. When that has set, place the flourish onto the clock face and over the top of the tag. Adhere bird, and add a little black crystal for his eye. I just snipped the one off the bottom of the flourish, and put it in place. and tie a piece of black lace through the top to finish it off with style! I hope that you find some time to play with these techniques, they add amazing texture and are so versatile, you can them on so many different types of projects just by changing up colors, surfaces and images! This week's technique was a challenge for me and brought me quite a few learning moments that I hope to share with you! I love Lockhart stamps, but get easily intimidated with the idea of coloring these little gems. So I thought a basic step by step of how to color one of these images with Copics, might be something that would help others feel less intimidated too. And I am also going to be sharing the technique of putting a crackle finish onto the image that will give it some shape so we can make it into a lapel pin. Loads to do so let's get to it! This is what the finished pin looks like, it is pinned to my dark brown sweater so it would have plenty of contrast to show of the details. First we will start out with a white #8 tag and then stamp the Hydrangea Lockhart image with Walnut Stain Distress Ink. There is a learning curve in here with the ink that I used, it worked well until I used the blender pen, and when we get there I will point out why. So my experience is that it is a workable ink if you don't plan on doing a lot of blending. The ink that Ellen recommends is Memento, I didn't have that so decided to give the Distress ink a try. It is fun to experiment and by trying different things you can often come up with interesting discoveries. My first decision in tackling this sweet image was to start with the lightest color I wanted to introduce be the first that I put down, I colored the hydrangeas and the berries with BV00. The next color I added was BV04, which is deliciously named "Blue Berry"! I just lightly touched the point into each of the little berries, don't worry about filling it in, we will be going back for refining touches in a bit. If you will notice, I have a little color swatch going off on the side of the project to make sure that the color I am adding will work with what is already down. For the lightest color layer in the leaves I used G21. I then added a second layer to the hydrangea with V12 in a few of the random flower shapes. You can click on any of the images to see them larger if you would like more detail. Now with the V17 I dabbed some brighter purple to create some dimension. Now go back over the hydrangeas with BV00 to smooth out the color layers that were just added, this is when you will also go back over the berries to do the same. Next I used W3 to build a nice warm shadow on the edge of the flower can and the label as well. This is where I used the Colorless Blender to soften the edges of the W3 into the tag. If you take a close look you will see where the distress ink started to degrade on the edge of the label. At this point I figured that was an acceptable flaw given that I would be crackling and aging the image enough that it wouldn't be an obvious issue in the finished project. I wanted to make the container look like one of the old ceramic milk containers, so I used B45 for the strip and label. Next I put YG67 which is a little bit darker green than the previous layer, and gave the leaves a small dab for some low lights. I then used the G21 to smooth out and better integrate the color layers in the leaves. For the last touch, I thought that the blue felt just a little too bright so I went back over it with the W3 to warm it up so it better fit the feel of the rest of the container. Yay, we are done coloring! Hopefully if you are not very comfortable coloring with Copics yet, this little process will help make it fun and feel bite size so it isn't intimidating! The next part is so fun! I really wanted this project to end up as a lapel pin, so getting it into a state where it had some body and could withstand a reasonable amount of handling was the next problem to solve. The solution that came to mind is using clear embossing powder in multiple layers to create a lovely glass look. To start you will need Clear Embossing Powder, Embossing Ink, the Heat It tool and the Craft Sheet. Start by applying a layer of the embossing ink directly on the area of the image. Then sprinkle the clear embossing powder over it and then gently shake the excess back into the container. Melt with the Heat It tool. Repeat these steps at least 5 times, even more if you want it thicker and sturdier. It is so pretty and smooth, and has a great look just like this, but I want it to look like an heirloom piece so we are going to take it a few steps further. When you have gotten to the point where you are happy with the thickness, trim the image to the final size you wish it to be. Then stick it in the freezer for a few minutes. When it is frozen take it out of the freezer and gently bend the edges on each side to create small crackles in the finish. It is still smooth feeling and won't fall apart, it just looks like it has been around awhile. Now using a small piece of Cut N' Dry foam, gently apply Brushed Corduroy Distress Ink over the whole image. This will work a little bit of the ink into the cracks that we just created. When you are done with that, apply 1/8" Scor-Tape to the edges. Adhere Prima Nikki Lace to the adhesive by removing the protective paper from the tape as you move the lace around the edge. When you have that done adhere a Perfect Pin to the back and call it good! I thought it would be a wonderful card front piece so I made a simple card using a piece of paper from the Garden Variety 6" x 6" mini deck and stitched it onto a cream colored card base. To get it to stay in place just poke a couple of holes and then pin it on. A stamp with a wonderful sentiment from the "Mother's Day Centers" set by Cornish Heritage Farms makes it a great gift for an important woman in your life. This has been a really fun project to make, and while it may look like it takes a lot of time, it really didn't. And if you have a few special people, it would be a snap to do a few at once. Thanks so much for spending a little time with me! Welcome to the 4th day of Ellen's 12 Days of Christmas celebration! I am sharing a couple of techniques that are fun for any occasion, but the product combination makes a really cute Valentine's Day project. Start with a white #8 tag, Wild Plum Adirondack pigment ink, the Tulle Damask Scrapblock and some Clear Embossing powder. Ink up the Scrapblock with the pigment ink and then stamp onto the tag. Sprinkle the clear embossing powder onto the tag and then melt with the Heat It tool. Press Tattered Rose and Worn Lipstick Distress inks onto your Craft Sheet, spritz with water from a Mini Mister and then mix some Rust colored Perfect Pearls into the colors with a large Studio brush. Brush onto tag, it looked more interesting to me when it was uneven, but do what appeals to you most. Accelerate drying process with Heat It tool. There are nice pearly drops on your Craft Sheet from where the brush moved the medium around, lay the tag onto those and gently press with your hand to pick them up with the tag. Dry with Heat It tool again. On a white sheet of Neenah card stock, stamp the adorable Memory Box owl with the Espresso Adirondack pigment and then sprinkle with the clear embossing powder and melt with Heat It tool. Use a small Studio brush, fill in the Owl with the lighter colored areas first. Then fill in the darker areas. Fussy cut the owl out with small, sharp scissors. I used a small touch of Spiced Marmalade ink for the beak, but it could just have easily been filled in with a marker. Just a quick touch with a slightly damp brush onto the pad and then a dab to the beak and it is done. For the "Love Note", stamp with the Espresso Adirondack pigment ink onto a piece of the white Neenah with the small bracket block from the "On the Desk" set from the Rummage Bin. Stamp the sentiment "Note This:" with the same ink right on top of the other stamp. Sprinkle with the clear embossing powder and melt with the Heat It tool. Stamp the AlphaNumber Backgrounder onto white Neenah cardstock with Red Pepper Adirondack pigment ink. Trim out the letters that spell "I LOVE YOU" and adhere them to the note with Quickie Glue Pen. I used a pair of tweezers, but have been dreaming of this pair of tweezers that have a non-stick surface. Stitch on the Regia lace by machine or hand. Place varied sizes of Opaline pearls along the top of the lace. Tie a bow out of Pink Silk ribbon and then place a couple of Maya Road Trinket Pins into the knot for a finishing touch. Please tell us one of the favorite things/techniques/tips you have learned here in the CLASSroom and tell us if there is anything on your "I would like to learn list." Don't forget the following 12 Days of Christmas blog candy drawings - be certain to answer the question on each individual post to be included in that drawing! We are going to start by using the Martha Stewart "Snowflake Edger Punch" on some scrap cardstock. This is a very cute punch, and punches very easily through cardstock and patterned paper, I did find however that it did not punch through the tags, I tried multiple times and it would punch the larger items, but the small details wouldn't go all the way through. The tags are very dense and have a tighter composition than that of typical crafting papers, thus making it difficult for the punch to fully function. Punch a few times, and set the larger snowflakes aside. If you are already using this punch for another project, just save the snowflakes and re-purpose them for this project. Trim 1" from bottom of white tag and set aside for later. Stamp "Espalier Birds" by Memory Box onto the tag with "Walnut Stain" Distress Ink by Ranger. After you stamp, sprinkle (or accidentally dump like I did, LOL!) "Clear Embossing Powder" and then heat set. This creates a great texture for our tag. Now we are going to make our own shimmery, glimmery misting spray! I love Ranger because the products let you personalize to your taste, and it is so much less expensive to create these than to buy them already made. The possibilities are endless! Using a "Mini-Mister" fill it two thirds full with water (mine is a little too full, it was very hard to shake to mix the ingredients) Then add three drops (or color to your preference) of "Broken China" Distress Ink Re-Inker to the water. Then add a small amount (or to your preference) of "Blue Patina" Perfect Pearls to the mix. Shake, rattle and roll, then you are ready to spritz! Now it is time for those adorable snowflakes we set aside from the punch. Set them on the tag in random places, no need to adhere. Now using your magic mist, spritz lightly from above until you have achieved the level of coverage that you prefer. Let air dry or coax it along with the "Heat It" tool. When it is dry remove the little snowflakes, when I coaxed mine along, the little snowflakes came off on their own when they were dry, a good indication that it was almost done. Stamp the Espalier Birds with the Walnut Stain ink onto the wood grain paper from the "Eskimo Kisses" paper by Basic Grey. Trim around the little birds and with the "Quickie Glue Pen" adhere them to the tag. I love how these little birds look paper pieced on this, so sweet! And don't you love the shimmer of that mist? Color in the little leaves of the tree with a marker. I used Copic YG67. Then add a small scallop to the bottom of the tag using the Eskimo Kisses wood grain paper. Cut a few very thin strips of the wood grain paper and roll them around a thin paint brush to get them to curl. Thread through the top of the tag arrange them how you like them to look and then adhere them in place. Now it is time to get that bottom of the tag that we trimmed off earlier and stamp our sentiment using the "Vintage Christmas Expressions" using the Walnut Stain Distress ink. After you stamp, sprinkle the Clear Embossing Powder and heat until melted. For card base trim the Eskimo Kisses plaid to 4" x 5 1/4" and stitch it onto a "Parsley" card. Adhere completed tag, the adhere the sentiment using "Glue Dots Mini" for a little lift and separation. Thanks for stopping by to play today! I sure had a good time sharing with you! Did you see Ellen's beautiful gessoed tag post using the Fashionista papers from the Graphic 45 line a couple of days ago? It inspired me to pull out my Fashionista papers! Initially I had determined to stick with a formal black and cream color scheme, but a bit of those rich flowers managed to sneak on anyway. . . I started with a large Manila tag and its coordinating tag envelope. Since I knew that I wanted to add a bow to the top of the card, I sealed the open end and cut off the pre-sealed end. Next I used a circle punch to cut a half circle to make room for the bow. I laid some of the black patterned paper on the back of both the tag and the envelope to create a mat as well as to give the back a finished look. 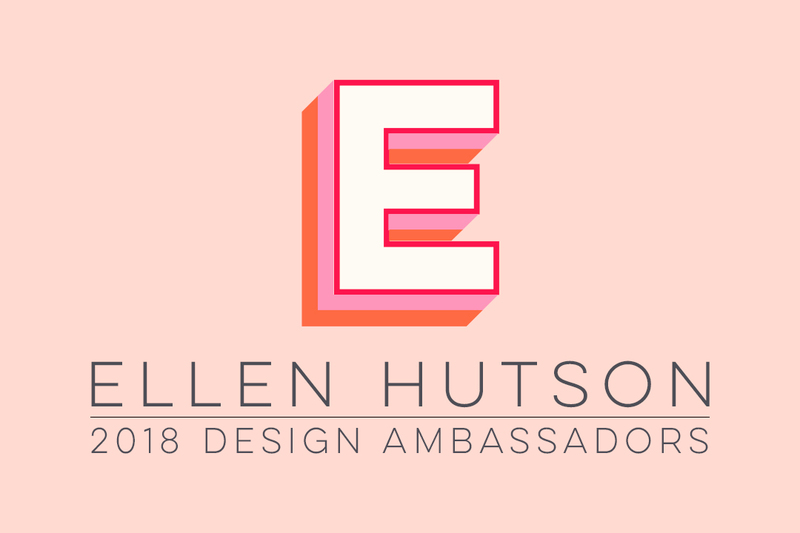 Please Note: All products from Ellen Hutson, LLC are linked at the bottom of this post. Next I covered the front of the envelope and found or created some elements to spice up the front of the envelope. I left the inside tag mostly blank for writing, stamping only some Tree Swallows in Adirondack Lake Mist ink, and a sentiment from the Rummage Bin Ornamental Beauty set in Memento Tuxedo Black ink. I also sponged Tea Dye Distress ink on all exposed edges and over stitching. As you can see, a few things changed in the process--they almost always do. I added splashes of color rather than sticking with only black and white, and I left off all but one of the vintage buttons that I had intended to use and added rhinestones instead. The buttons were a little informal for the rest of the materials, and the winged clock needed some emphasis. I love starting with pretty materials and seeing where the process leads; don't you? Thank you for visiting the CLASSroom! Gesso - what is it? and why am I so excited about it? I am by no means an expert in any way, shape or form when it comes to working with this medium, but because I think that there are so many fabulous effects that you can create when using it I am going to continue to explore with it, as well as share those explorations with you. Gesso is thought of most often as a type of primer - a product that we can use to prepare a surface that does not easily accept paint. BUT it also acts as a terrific resist. There are many products on the market now that do act as a resist and so you might wonder why I would introduce you to yet another one, but what you will find is that with each one you will get a little different look. I feel that this particular medium has so much to offer because of the additional textural qualities it provides! I personally believe that rubber stamps and gesso were made to go together - LOL! Artists who typically work with these fine art products might disagree with me, but that's OK - I know best (ha, ha). Today we are going to explore different ways to stamp with it, let it dry and then paint over it, buff it with a damp rag, spray water on it, sand it, add layers and more. I hope what this "experiment" does is give you the courage to truly explore with it as I have done. What I have found is that happy accidents happen when using gesso! I am going to show you only one of my finished projects today and I will be sharing supply specifics and other details within the next couple of days in a separate post on Simple Dreams, to cut down on verbiage not related to techniques in this post. This is going to be a LONG post as is, so grab your coffee, tea or water and settle in. "Friendship is a thing of beauty" and today I would like to share my version of beauty with you my friends. I had to share this picture so that you could see that there was a method to my madness in color selection (insert silly grin.) I began by selecting the Fashionista paper collection as my color inspiration. When experimenting I find that it is useful to try numerous different options at the same time. This allows for less cleanup in the end and that makes me a happy girl. So you will see multiple project using this particular color scheme in the short time to come. I just can't create a tag and not show you how I plan on using it, now can I? So here is the method behind the madness of each tag, or perhaps more precisely stated the questions I was trying to answer by creating these tags. What happens when you stamp directly in to gesso? What type of texture will it create? How will the paint seep in to the cracks and crevices of this type of image? What happens when you apply gesso over a layer of acrylic paint and gesso? What happens when you mix gesso and acrylic paint together and create a new layer with this combination? What effects can you create when you place droplets of water on your project? To begin I painted gesso on to a portion of my tag. I then added a second and third layer, NOT allowing it to dry between layers. I wanted a nice thick gesso layer in which to stamp. I then used one of the highly detailed stamps from the Ornamental Beauty set to see what type of details the gesso would accept. Happily I ended up with a beautiful impression. A more solid, silhouette style of stamp will give totally unique results, but I believe they would be equally stunning in a different way. After allowing this to dry I added a layer of Studio Paint. By using my color charts I mixed a color that coordinated with the colors of my Fashionista papers. As you can see I painted against the grain of the brushstrokes of my gesso layer. I then took a damp paper towel and removed the excess paint. You could leave the paint, but I wanted a feel similar to what you might find in an old Italian or French village house. After allowing this layer to dry I added yet another layer of gesso. This layer was very light and I ended up "dry brushing" the gesso in to my main image. By dry brushing I mean that I used a brush that was dry with very little gesso on it. This allows for a more detailed stroke. I would like to suggest to you that you try different brush strokes. Load your brush up and paint a stroke, use a "dry brush" with very little product and try another stroke. You will find that through this type of exploration you can get a good feel for the different looks you can achieve. Once again I allowed this portion to dry. The next portion of my tag was to determine what look would be achieved by mixing gesso and Studio Paint together before applying it to my tag. I did not allow this layer to fully dry before adding my droplets of water. I am wondering now if I would have achieved yet another look entirely if I had done so. Instead I applied the water droplets and allowed them to sit on my damp surface for about a minute. I then used my paper towel to wipe them off. As you can see some of the blue gesso dried, some droplets removed a lot of the blue gesso and others were yet a completely different look. I have to wonder if it has something to do with dry times on the surfaces. I don't know. But what I do know is that I loved this combination and know that someday I will explore this further. What happens when you stamp a red rubber image painted with gesso? How will the acrylic paint react with the "bare" paper surface vs. the surface that has gesso applied? How will it look when you apply gesso over acrylic painted surfaces? What difference will it make if you apply "wet" acrylic paint vs. a more "dry brushed" acrylic paint? Can you remove additional acrylic paint by using a water misted rubber stamp? CLEANING TIP: In this photo I included my toothbrush as a reminder to ALWAYS clean your red rubber stamps immediately after use. I find that quickly running over to the sink and running my image under warmish water and using an old toothbrush to clean the image will alleviate many hours of work at a later point. I painted a layer of gesso directly on to my red rubber image (you will find another image below showing the amount of gesso that I use. I you slather on a layer that is too thick you will lose all the stamp details. If the layer is too thin, it will dry quickly and not leave an nice impression. Experimenting with the amount of gesso to use will be gained by experience only. So just give it a start, don't be afraid - many of my projects have ended in the trash can. After allowing the gesso to fully dry (yes, I cheat and use my heat embossing tool) I topped this layer with a coat of Studio Paint. I used the same color mixture as shown in the tag above. As I stated earlier I like to work more than one project at a time so that I can take advantage of the products and brushes that I already have "dirtied", more bang for my cleaning time buck I guess you could say. If you open some of these tag pictures and compare them side by side you will start seeing the subtle differences. For example if you compare this tag to the second tag in my Tag #1 series above you will see the texture of the brush strokes appear in a completely different way. I then added more gesso, this time covering some of the fresh acrylic paint with the gesso. If you happen to stroke gesso or acrylic paint on a portion of your tag that you want to keep "free" just use a damp paper towel or rag to remove the excess gesso or paint. As I said these products are so forgiving. With the last tag mixed my blue paint with gesso, this time I watered down my blue paint and just applied it directly to my gesso surface as well as stroking it on to my now acrylic painted surface. I allowed it to dry for a very short time period and then wiped it down with a slightly damp paper towel. I wanted to share this picture so that you could see what my image now looked like before doing the next step. I think that perhaps I wiped away more than I wanted on my first try and so I came back in with some additional blue and did a second wipe. As I said earlier it is SO forgiving - you can just keep right on playing. Water droplets worked great and so I wondered if I could get a more "precise" removal of some of the paint. I misted my highly detailed Scrapblock with water and then lightly pressed my tag to the surface of the Scrapblock. I was a little apprehensive about ruining my tag and so I did not leave it long. As you can see I met with success along the left side of my tag. Wicked cool!!! I think with more practice and more experimentation this will be something that can add yet another fabulous layer to your projects. You will also notice a small sanding block sitting beside the tag. You will notice in the first of the series of pictures above that once I had painted my green over the gesso, the gesso appeared muted by the green color. I wanted to try and make it "pop" a little more and so I grabbed my sanding block. COOLIE! It truly does make the details pop! Yet, when I run my fingers over the surface of this project I almost imagine that it is a type of "braille". I can feel the different crevices in this ornamental beauty! What happens to cardstock when painted with gesso? Does it curl and flatten, or??? When adding a layer of acrylic paint what happens when you go "against the grain" vs. "with the grain" of the gesso strokes? If you allow the acrylic paint to dry can you still remove it from the surface? and if so how? What happens when you stamp over your gesso/acrylic painted surface with additional gesso? This last tag is the one I knew that I wanted to use in my project for today. I was wondering if the bright colors would just blow this out of the water, so to speak, or if they would blend with my background papers. As I painted on the gesso I was very conscious about the brush strokes I was leaving on my tag. I wanted to determine if on my next layer I would notice a difference when applying acrylic paint in the same direction vs. the opposite direction. Yep, I heated it to dry because I am an impatient stamper - LOL! I then added my acrylic paint. I don't know if you can tell that I changed the direction of my brush strokes in different parts. I knew that I did NOT want my tag to be this bright and so after allowing the paint to dry for a short time, I spritzed the surface with water. I then rubbed the surface dry using a paper towel. As you can see I rubbed the tag in both directions. It is so wild to see the variations. I just have to laugh at myself - I am like a kid in a candy store when I have an opportunity to "play" like this. I bent the tag to see if it would create cracks - just a couple, of oh so cool ones came through. I then gessoed up my image one more time to see what the final effect would be by stamping over top of my gesso and acrylic paint layers. As you can see I did age my tag using my Ink Blending tool and my favorite Antique Linen Distress Pad. That little pad is my absolute favorite for aging images. Thank you Tim and team for all you have done to bring us these snazzy little ink pads and reinkers! What type of ink works best stamped over gesso and acrylic paint? I found that the Archival Ink was the best suited to stamping my greeting over the top of this "mixture" of paint and gesso. I did heat set it wondering if the heat would make it bubble, but fortunately it all worked great. Can I age the surface of my projects? As I stated above I did distress my edges and the image with Distress Ink, but I found that I did have to heat it to get it to adhere. What you can't see is that I also stamped the top portion of this tag using Vintage Photo ink and the Aged Sheet Music Scrapblock. It doesn't really show up that well, but it does add a vintage charm to the whole project. Next time I will try and showcase this so that it is easier for you to see. What tools do I need for cleaning up? Water - water is your best aid in cleaning up any of your messes. I always keep a damp paper towel or rag at the ready. This will help you clean up any mistakes, or spills, or... I also highly recommend having an old toothbrush ready and at your sink for cleaning your red rubber images. As I stated earlier it will save you a whole lot of time and preserve the integrity of your images. If gesso is allowed to dry on your red rubber it can be extremely difficult to clean up. I want to encourage you to stop and take the time to "play". Spend an afternoon or evening playing with gesso, create different backgrounds and then share with us what you have discovered. I chose a smaller manila tag for my card, but otherwise followed Ellen's instructions for the ghosting technique. I will say that I wasn't very pleased with my ghosting effect until I had applied a very heavy coverage of Distress Ink to it. So keep that in mind -- if you don't like what you are seeing at first, keep applying ink! Starting at the top of my tag, I used these Distress Inks: Broken China, Faded Jeans, and Dusty Concord. After completing the tag, I distressed the edges, pierced a double row of holes at the bottom, using Tim Holtz's Design/piercing ruler (not sure if it's showing too well in the photo), and then adhered it to my card base with dimensional foam tape. I decided to make the sentiment element of the Card Architecture Blueprint #1 (don't you just love this name? Being married to an Architect, I love it!) a little shorter because it was covering up some of the best of my ghosting technique at the top of that tallest left flower. So I zig-zag machine stitched the sentiment to my tag, to give it an "anchor". I didn't have any flowers to match my card, so I inked some cream flowers with the same Distress Inks I used for the card ... and got a perfect match! I hope you'll give this technique a try -- you never know when you might find a new favorite! This idea is not unique to me - it is totally inspired by the incredible tags that Tim Holtz creates. As an educator at heart I absolutely love how his tags aid in teaching and expanding ones creativity. I am SO going to go to Ranger University some day if they accept me! I am so excited about Technique Tuesday Tags! My goal is to try and share a technique on Tuesdays along with directions that you can simply download and print on a sheet of labels. I know that I will not manage to do a new tag every Tuesday, but I will try my hardest to keep them coming on a regular basis. I find that pulling out my old "techniques" can really help push my creativity to new levels. To begin I will simply explain and share an example of this technique. I would then like to encourage you to download the directions, create a simple tag showcasing this technique and put the label with step by step directions on the back of your tag. Most often I will try and use these Manila tags as my base. Eventually I would love to see a whole ring of Technique Tags that you can refer back to when inspiration is lacking and you just need a motivational "push." So get your tags and let's get started! To create my tag I inked my background stamp using Adirondack Snow Cap Pigment Ink. The key to this project is to use a full-coverage white pigment ink. For other pigment inks and more in-depth information regarding the different types of inks, you are welcome to refer to my post on inks over on our In Touch blog. Being a stamper with limited time I elected to set my ink using my heat tool. If you have plenty of time you could stamp your image and allow it to dry naturally. Next use an Ink Blending Tool or a piece of Cut N' Dry Foam to apply the next layer of ink. The critical thing to remember is that you will now switch over to using a dye based ink pad. I love the Distress Ink Pads for this technique and selected a series of colors in the brown hues to create my woodgrain tag. Begin by inking the foam on your stamp pad by "smooshing" (do you like my technical terms - LOL) the foam in to the surface of your lightest color ink pad (I used Antique Linen first.) Then using a circular motion, starting on your non-stick craft sheet and moving on to the edges of your tag begin applying the ink. Continue moving in a circular motion until you have covered the entire surface you would like to see pop out. I then moved to my next darker color using the same tool. If you were to switch colors from a blue to a green you would want to use a new foam for each color, but if you work within one color family you can simply use the same tool for each color as you progress from light to dark. As you can see in the close-up image below the surface that is covered in white pigment ink resists the dye ink in a very subtle way and a "ghost-like" image appears. When applying each additional color I did not cover my surface evenly because I wanted it to appear like a natural piece of wood. Interestingly enough this tag ended up looking a lot like the Beech table top I was working on. Yes, there are always variations on a theme and so I want to leave you with some thoughts that will help you experiment with this further. These were thoughts that started running through my mind as I created and I wished that I would have more time to follow up on each one of these, but perhaps you can do it for me! instead of using white pigment ink try another light toned pigment ink and then apply your dye ink in a similar manner - what will it look like? what about the fly fisherman at sunset, or is it sunrise when they go out? This would make an awesome Father's Day card! Now it's your turn! That's right - get out your White Pigment Pad and give it a try. I am going to provide you with the blueprint as well. This is a name that Julie Ebersole and I had talked about years ago when discussing the idea of starting a sketch book. Well... everyone now has sketches and books and challenges, but no one has "Card Architecture". Yes, that was the name I thought was so genious - LOL! Guess what, I still think it is genius, so that is what I am going to title the little sketches that go along with some of my posts. Obviously you can see my interior design and architectural detail training coming in to play with this one, but it is such a universal system and I just couldn't let it go. So without further ado - here is the very first "Card Architecture Blueprint." It needs work, but I was limited for time this weekend and I didn't want to miss this Tuesday! Watch for improvements soon I hope! I would LOVE to see what you do with your tags! Please leave a comment if you would be interested in seeing what others are coming up with and I will give Mr. Linky a try again. You are also welcome to leave a link in the comments section! I do know a couple of very talented ladies who are probably going to share their versions of this technique soon. So please stay tuned to see what they have come up with. PLEASE NOTE: I will do my best to have the download available later today so that you can simply print it off on to an Avery Label and adhere it to your tag. It is now almost midnight and it has been a long, but wonderful day! We celebrated Maddi's 15th birthday today and I am completely exhausted. I just couldn't wrap my brain around how to make this label tonight - LOL! I'm not certain I like this business of getting older - if she stays young doesn't that allow me to stay young and vibrant as well? It is so wonderful to see her grow up to be such a sweet young lady though, so I guess I just won't try and put the brakes on life too much. Thank you for stopping in today - please return soon to see who our lucky winner of the "We Remember" set is along with yet another announcement I am over-the-top excited to share with you all!